Results for - You have a foot of snow outside and your neighbor is shoveling their driveway which happens to be right next to yours. When shoveling, they are throwing the snow in part of your driveway, so that you have more snow to deal with. Do you? 1. You have a foot of snow outside and your neighbor is shoveling their driveway which happens to be right next to yours. 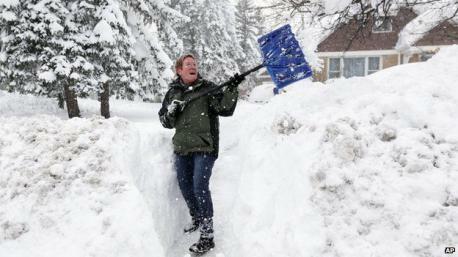 When shoveling, they are throwing the snow in part of your driveway, so that you have more snow to deal with. Do you? Go out and politely ask them to stop. Go out and start shoveling..show your there.. hope they stop. Say nothing, let the snow pile up, hold resentment. Not worry over it at all. No biggie.